Real estate sales in March seemed to take up where 2017 left off. While last year’s unit sales totals were down pretty much across the board compared to 2017, the figures for 2019 seem to mirror those of two years ago. 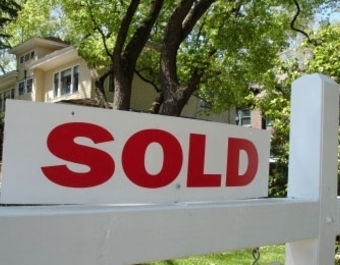 In the five-county area covered by the Traverse Area Association of Realtors, there were 222 residential sales this past month, compared with 176 in March of 2018. Figures for March 2017 and 2016 were 237 and 212, respectively. Dollar volume is also up from last year, with a total of $57,225,533 in March of 2019. That compares with $46,771,275 for March 2018, $59,968,571 in 2017 and $48,044,073 in 2016. For all that, there is little continuity among the five counties served by TAAR. Sales in Grand Traverse County were up $11,000,000-plus, from $23,067,090 last March to $34,392,224 this year, and sales in Antrim County more than doubled, from $4,403,550 to $9,013,925. On the other hand, sales in Leelanau, Benzie and Kalkaska all dropped. The average number of days a property was on the market increased in Grand Traverse, Leelanau and Banzie Counties, while declining in the other two; the DOM increased from 151 last year to 157 this year. Overall first quarter results show a trend similar to those for March alone, with 2018 the low point among this year and the preceding three. Residential sales for 2019 stood at 524 units for a total of $145,030,812. In 2018, first quarter statistics showed 485 sales totaling $122,835,646. In 2017, there were 567 units sold at $135,338,920 in 2017, and for 2018, 547 for $119,372,129.